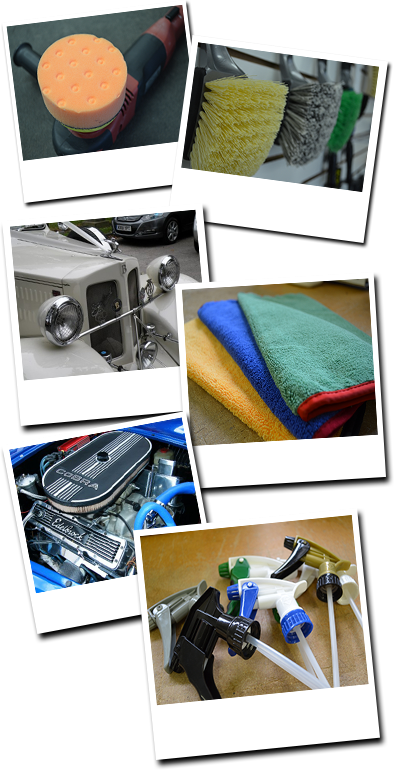 We offer a huge selection of commercial grade auto detailing towels including turk towels, shop towels, huck window towels and shop paper towels. 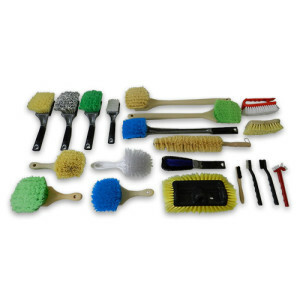 We stock a complete line up of auto detailing and car wash scrub brushes Including wheel brushes, tire brushes, body brushes, interior scrub brushes and convertible roof brushes. We have the right dressing applicator for every job. Be sure to check out our huge selection and value bucket of applicators. It is important to have the proper sponges, car wash mitts and microfiber drying towels or synthetic chamois to dry the vehicle without scratching once washed. 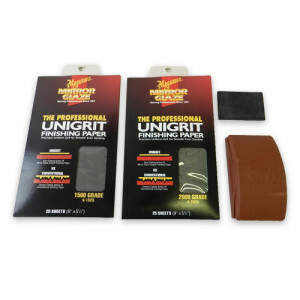 Meguiars Unigrit sand paper is excellent for performing wet sanding or color sanding of scratches especially when using a 3M rubber sanding block. Check out our wide selection of spray bottles and polish bottles for the pro detailer or car enthusiast. Detail King's selection of sprayers iclude our heavy duty, chemical resistant, big blaster, foaming and acid resistant. 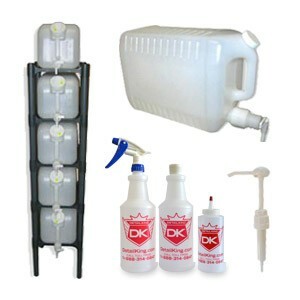 We also have a huge selection of chemical bottles and polsih bottles. 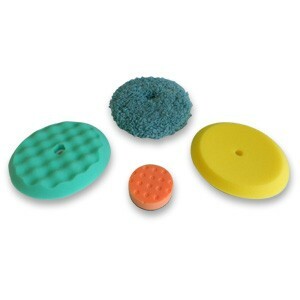 Grit guards will help keep the dirt and grit off your car wash mit. Our double bucket dollies come in handy when detailing over sized vehicle like boats, RV's and limousines. 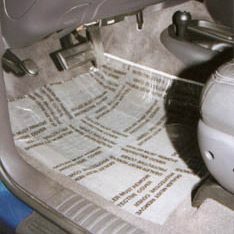 Our variety of paper floor mats have a sprecial coating to keep them from tearing apart and last longer. 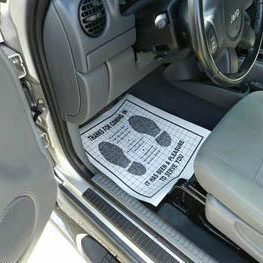 These paper mats are great to insert once the interior has been cleaned and detailed. 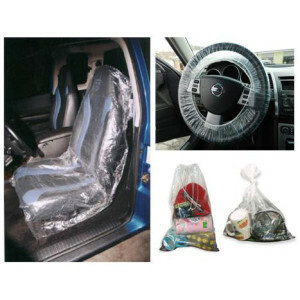 Keep your customer's car interior clean and organized while in your care with our plastic seat covers, found item bags and steering wheel covers. Our plastic coated paper mats are available in 250 and 500 count boxes. Separate yourselves from the competition. 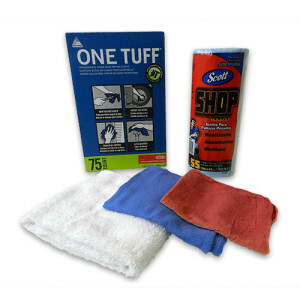 If you own a mobile detailing business or a detail shop you want to use the best pro auto detailing supplies so you can consistently knock your customers socks off with the results! 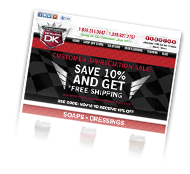 Detail King focuses on offering the very best auto detailing supplies in the industry. Whether it’s car wash brushes or car wash towels, a wax applicator or car wash mitt, or possibly just a bottle of carnauba wax, Detail King’s auto detailing supplies are of the highest quality and priced right for the pro auto detailer or car enthusiast. 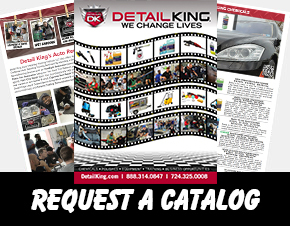 King was one of the first auto detailing supplies companies that produced videos and posted them on YouTube. If you would like to check out our Detail King Headquarters watch our “retro” video. 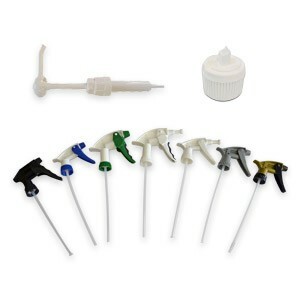 Detail King also stocks a large assortment of plastic bottles, sprayers, spouts and chemical storage items. 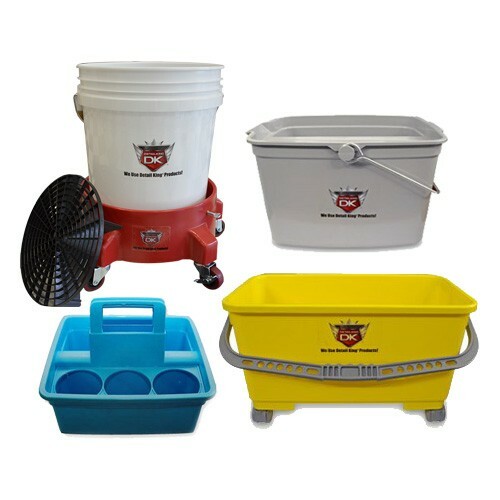 If you are looking for quality bug sponges, commercial grade wax and dressing applicators, microfiber towels, glass cleaning towels and bucket wash systems including our Grit Guard double bucket dolly you came to the right place! Detail King has the auto detailing supplies that you need for your detailing business or for you to keep your personal vehicle looking great year-round. 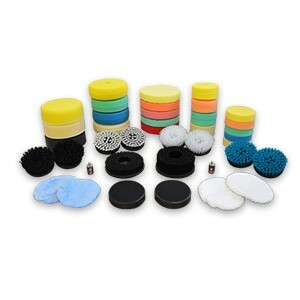 If you are looking for quality buffing or polishing pads for your rotary buffer or dual action polisher Detail King has a huge selection. 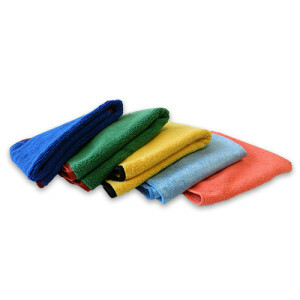 We stock all types and sizes of Lake Country foam pads, 3M Edge foam pads both classic and double sided and 3M Edge Wool pads. 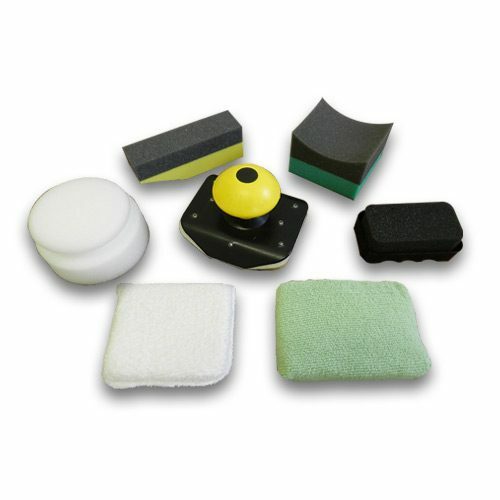 Detail King also features several brushes that can be attached to most buffers and polishers and can be used to clean carpets, upholstery and convertible roofs. If you have attended our training seminars then you know that we stress that the wash-up and prep is just as important as the actual detail process. 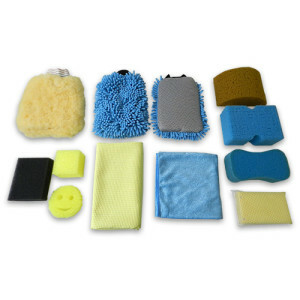 So we make sure that we offer a wide variety of car wash scrubbers, sponges and detail tools that will save you time and get the job done right. If you like removing wax and sealants with orbital bonnets we have both terry and microfiber bonnets for your Gem, Cyclo, Porter Cable or Flex Polisher.